We want to commune with you in the form of a reading. Nabil Kashyap has had poems and essays appear in places like Actually People Quarterly, Colorado Review, DIAGRAM, Seneca Review and Versal. He is a librarian at Swarthmore College and lives in Philadelphia. 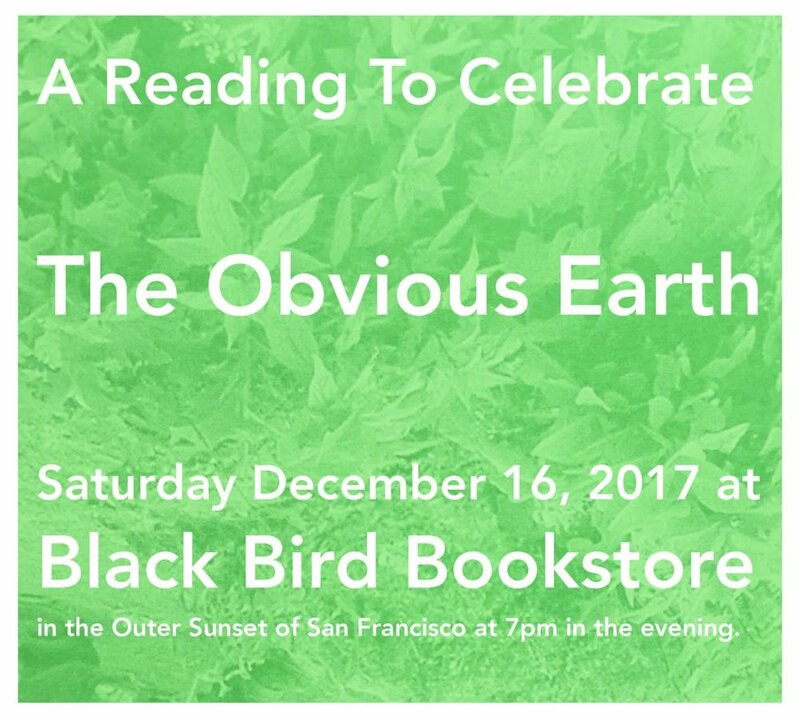 The Obvious Earth is his first book, published by Carville Annex Press. Caitlyn Galloway is the co-founder of Little City Gardens, a working farm in San Francisco from 2010-2016. She is a Bay Area native who still loves San Francisco, despite itself, and finds most of her inspiration in the corners of the city that are still dirty. She works as a designer and trained sign painter. She is currently writing a book. Sarah Fontaine is a writer, astrologer, and artist who practices experimental healing arts. She publishes books with her sister here. She breathes and drinks water and lives in San Francisco, and spends as much time with plants as possible. Posted on November 27, 2017 by Carville Annex Press.